The fates of two Premier League sides were decided this past weekend, with Burnley and QPR both officially relegated. And a similar fate awaits one more, but who that is — Sunderland, Hull City, maybe even Newcastle? — remains to be seen. 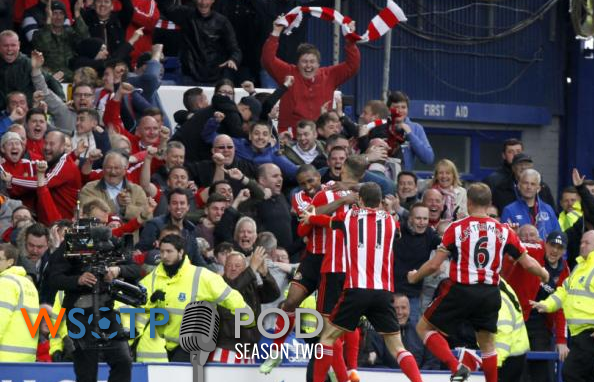 And in Episode 38 of the #Pondcast, the guys delve into those sides and their remaining fixtures. Also on this week, our thoughts on the first legs of the Champions League semifinals, the upcoming FIFA elections, the first ever MLS New York City Derby (or whatever you want to call it), and much much more. Have a question that you want to ask on next week’s podcast, reach out to us by email at contact[at]wrongsideofthepond[dot]com or hit the social media links at the bottom of the page. And subscribe below to automatically receive new episodes on your favorite mobile device.